Jaya Mehta's Guru, Guru Pratibha Jena Singh is known for her expertise in expressing an expansive range of emotions. Being Guru Surendra Nath Jena’s eldest daughter, she began her training at an early age, under her father’s avid guidance. 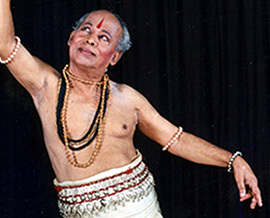 From there, she went on to imbibe the qualities of his Odissi style and has become its most accomplished exponent, performing in many national and international festivals of dance. She is also a teacher and an accomplished choreographer. Her training in pakhawaj under Guru Prafulla Kumar Mangharaj has added to her in-depth knowledge of the arts. Guru Pratibha Jena Singh is a recipient of many awards and distinctions, such as the Shringhari Shyamsunder Award for Odissi in 1995 and a national scholarship from the Government of India for Indian Classical Dance from 1977 to 1984, and a scholarship from Triveni Kala Sangam for 2001. She is an empanelled artist of ICCR and Doordarshan. She was also actively involved in a film project which documents the Odissi style of Guru Surendra Nath Jena, by AHRC Research Centre for Cross Cultural Music & Dance Performances, Roehampton University, London, in 2005-06. She founded the Nrityashilp Dance Foundation with the aim of reaching out to wider audiences with performances, workshops and lecture-demonstrations in the Guru Surendra Nath Jena Odissi style, and to impart holistic training to students in this style. She has been invited to perform in Eastern European countries, particularly Ukraine and Russia, where she has a group of dedicated followers. In 2008 she completed a two-month performance tour in the USA as a guest of Ganesh Academy of Indian Arts. Besides this, she has conducted workshops and given lecture demonstrations in India for Sangeet Natak Akademi and in various schools for SPICMACAY. 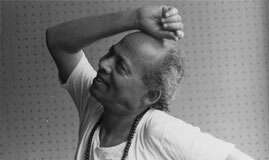 She has conducted lecture-demonstrations and recitals at Singapore and Australia, as the leading exponent of the Guru Surendra Nath Jena style. Guru Pratibha Jena Singh is currently teaching at Triveni Kala Sangam, New Delhi, with a view to continue a journey her father embarked upon. Her husband Bhumi Keshwar Singh is well-known in the field of Seraikella Chhau Dance and Sanskrit Drama direction in Chhau Style.